Keep up the great work! I always look forward to every issue! This resource is more valuable to me than any textbook. The songs are extremely well-written, creative, and clever, and the children love them. Having student voices as models on the recordings is a tremendous boon. Thank you for your creativity and this amazing series. This is probably my most useful resource I use each year. Thanks. Keep doing what you’re doing. I like how I can usually find a song for what I need. I love [the] searchable [Online Index], and that I can listen to the songs without digging out the CDs. What terrific pieces! All so different, yet high quality. Thank you! I look forward to many more! 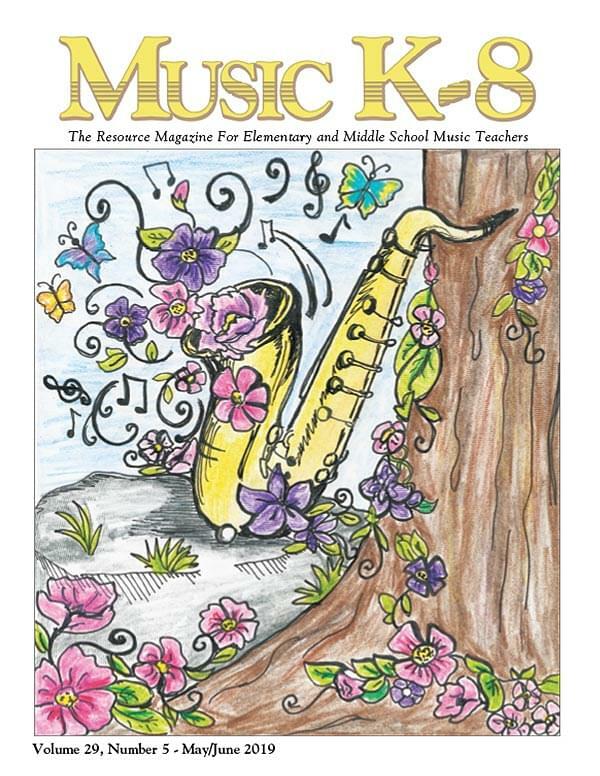 I love Music K-8 and look forward to each and every issue. I don't know what I would do without Plank Road. They save my sanity every year. I just had to thank Plank Road Publishing once again for making such wonderful music for my students (and me!). [...] It's like you know what I need (and want) more than I do! I've said it before, and I'll say it again: Plank Road Publishing is the best at what they do because they understand what the kids like, what their sense of humor is (and the teachers’, as well! ), and write absolutely incredible melodies and lyrics specially suited to the unchanged voice. I can count on one hand the resources and training that have meant the most to me in my 31 years of teaching - and you can be sure that Music K-8 is among them! You all do an outstanding job of providing valuable materials to music teachers. I could not make it through a school year without your materials. I do not think a week goes by that I do not use a least one Music K-8 song in my lessons. I LOVE your company! During my student teaching as a music teacher, my co-op. and several professors recommended this series to me. Now I have a full-time music job, and resources are scarce. This web site is EXCELLENT for teachers, such as myself, who enter into a school with no prior resources. So I can't thank you enough for having these materials ready to go and teach! Thank you, thank you, thank you!! I am deeply grateful, and I make it a point to mention the composers/arrangers/those responsible at Plank Road to the kids whenever we do one of their pieces. I want those good vibes streaming back to those northern climes from whence they sprang. [The MusicK8.com Mailing List] is a blessing to thousands of teachers, and when you multiply/add in all the students touched by those teachers, the impact of this list is... well... incalculably large. I know how relieved one can feel because of the support of [the MusicK8.com Mailing List]. I mean, where else are you going to tap into such an enormous wealth of information? Music K-8 is the greatest thing ever. I am mentoring two new music teachers, and at the top of my list was to subscribe to Music K-8. Thanks for all you do! I just love [the Music K-8 Mailing List] and know that without this list and Music K-8 magazine, I would have never survived my first few years! Your series has been an absolute lifesaver! Being South African and new to the country, customs, and culture, and teaching girls in a private girls’ school with veracious appetites for music, I had to find suitable material at top speed! My little choir LOVES the songs, and my class music teaching is really enriched by the ideas I find in your magazines. I love, love, love your magazine - top notch resource for music teachers. [...] Thank you again for producing such marvelous, beloved music.